Gregg Berhalter has been rather straightforward in describing how he wants his team to play and who he wants to fill the specific roles for his system, and here's how it could all manifest itself in two upcoming friendlies. The U.S. men's national team returns to action Thursday, playing the first of two March friendlies when it takes on Ecuador in Orlando, Fla. It'll mark the third game of the Gregg Berhalter era, but the first in which he has the full player pool at his fingertips. Berhalter made his 24 selections last week, though had to make one swap as No. 1 goalkeeper Zack Steffen withdrew with a minor knee injury and was replaced by Jesse Gonzalez. Berhalter's choices–and subsequent remarks about them–give a glimpse into how he sees the U.S. operating going forward. He planted those seeds in January camp, and 13 of those players have remained in frame for the next set of matches. With only this camp remaining prior to pre-Gold Cup friendlies, this next week carries a bit more significance than it normally might in terms of the USA's big picture. A couple of months ago, ESPN's Taylor Twellman was the first to hint at the possibility of Adams, a central midfielder, shifting into the right back role in Berhalter's system, and the manager confirmed that would be the case on Monday at the start of camp. As we saw in January, with Nick Lima playing the role, the right back under Berhalter is tasked with plenty of responsibility. When the U.S. is in possession, he pinches centrally and looks to advance further up the field. If the ball is turned over, he must be able to recover and roam the space under his purview. Adams, still just 20, is headstrong and has made a rather seamless transition from the New York Red Bulls to life in the Bundesliga at RB Leipzig, and this will be a new challenge for him. ''This is the beginning phases and we want to test it and we want to see how it looks,'' Berhalter told reporters in the Orlando area on Monday. ''When you're looking at a profile of Michael Bradley or Will Trapp, a very controlling player, and you have the dynamic guy next to him in Tyler who can come inside and still be influential from that position, we think it's exciting and we want to take a look at it. It may not work exactly how we have planned and we'll have to adapt. But I think in theory it's something worth trying. With Adams operating as a right back, that clearly impacts the nominal leader on the depth chart in that position, Newcastle's DeAndre Yedlin. Berhalter confirmed Monday that he'll be deploying Yedlin as winger, though, not a right back. Clearly, he sees Yedlin's skills more of use in the attacking half of the field than the U.S.'s own half, though it's not as if he'll be able to shirk his responsibilities entirely. 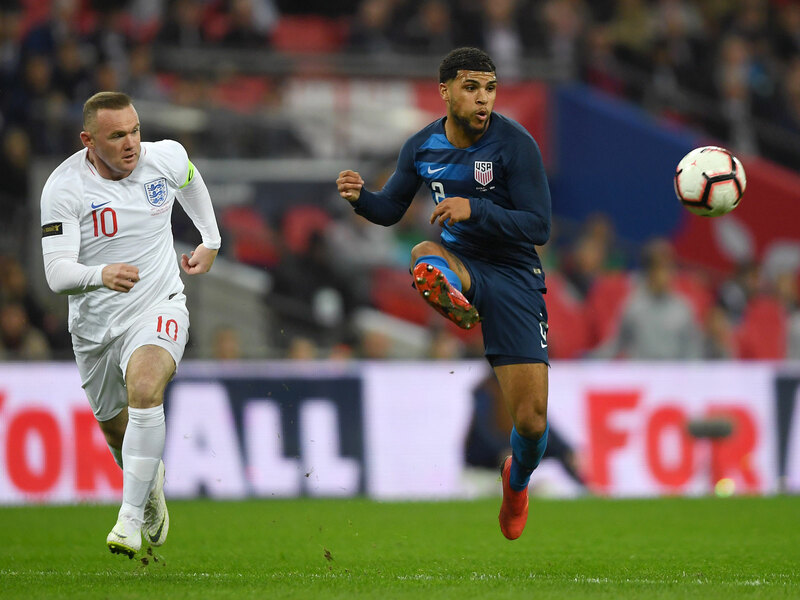 Plenty will note that this is how Jurgen Klinsmann utilized Yedlin in 2014, when his meteoric rise resulted in a place on the USA's World Cup roster, but five years later, under a new tactical system–and with Premier League seasoning as a defender along the way–it'll take some adjusting to master. Berhalter is betting on it panning out. As soon as he took over as U.S. manager, Berhalter alluded to the fact that he viewed Christian Pulisic in the playmaker role occupied by Djordje Mihailovic during January camp. That should come as surprise to just about nobody. Especially given that Yedlin will be viewed as a right winger and Paul Arriola or even the in-form Jordan Morris can stake a claim to the other wide starting spot, Pulisic will be in the center of it all. It's a big year for the 20-year-old Pulisic, who will take on added responsibility under a new U.S. coach ahead of a move to a Chelsea team whose only way into next season's Champions League may be by winning this season's Europa League. Next to him, Weston McKennie is expected to man the spot played by Cristian Roldan during January camp–more of a box-to-box role with the freedom to create. Berhalter was in attendance for Schalke's Champions League last-16 first leg vs. Manchester City, and he liked what he saw. The two Germany-based talents and friends figure to line up with Bradley behind them. In a defined, holding midfield role, Bradley impressed during January camp, and while an array of the U.S.-watching public will remain vocal about his time on the international stage being up, the 31-year-old is showing those wishes are premature. Berhalter backs the Toronto FC star, and it looks like that role, for the time being, is his to lose. 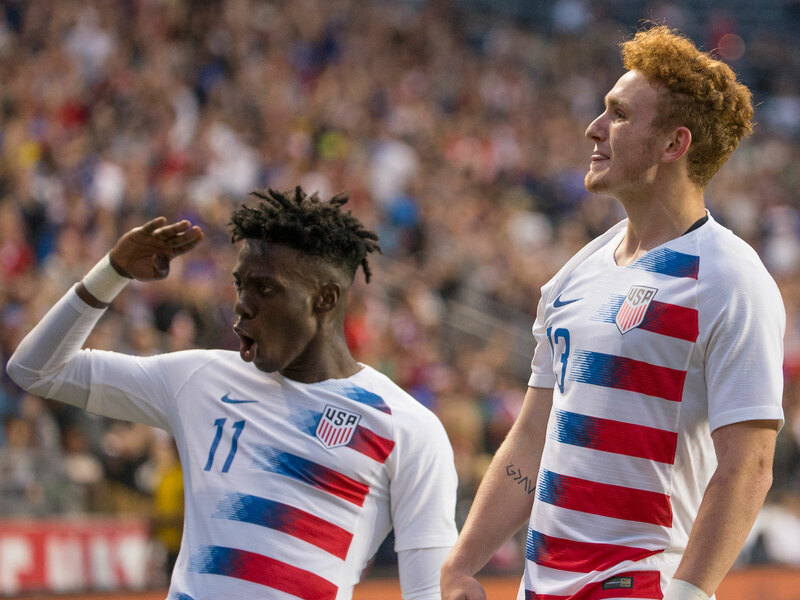 Tim Weah and Josh Sargent figure to be fixtures for the U.S. senior team for at least the next decade, but Berhalter isn't skipping any steps with the two teenagers, who aren't playing regular first-team minutes with their clubs despite bright moments for Celtic and Werder Bremen, respectively. There are concurrent U.S. youth camps running this week, and with both exciting talents age-eligible for next summer's Olympics, Berhalter is opting to funnel them to the U-23 route. There are a couple of ways to look at it. One is, if both are going to be so important going forward, why not get them as many senior team minutes as possible now? There's no better time to do it than when the stakes are low, which is why they were introduced on the main stage during the lame-duck year of 2018. Continue building on that foundation now, and it can flourish for the years to come. The other approach is that while the future is bright for both, they truly aren't fully ready for regular senior roles and could benefit from a bit more development a step below. That, after all, is what their clubs have essentially decided, and it appears that, for the time being, Berhalter has decided that as well.